If it is at all possible, each days tours just keep getting better and better. I can hardly wait to see what each of these fabulous ladies have for today. 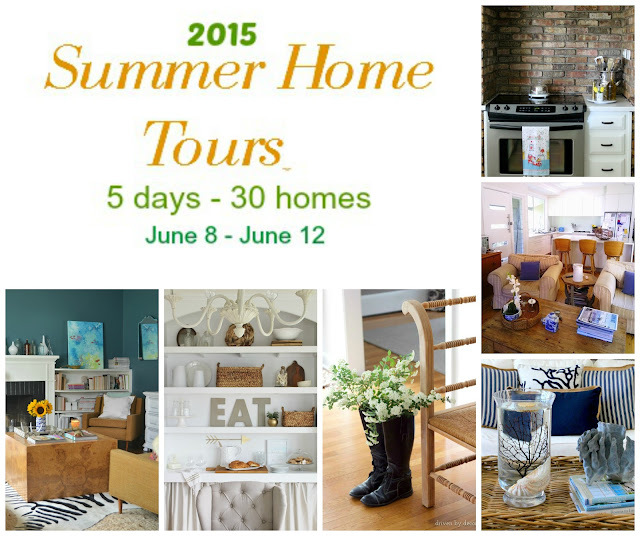 Jen has created the most inviting and welcoming home with tons of thrifty ideas. Her home proves that you can have magazine worthy on a budget. Driven By Decor Kris's profile is so perfect. 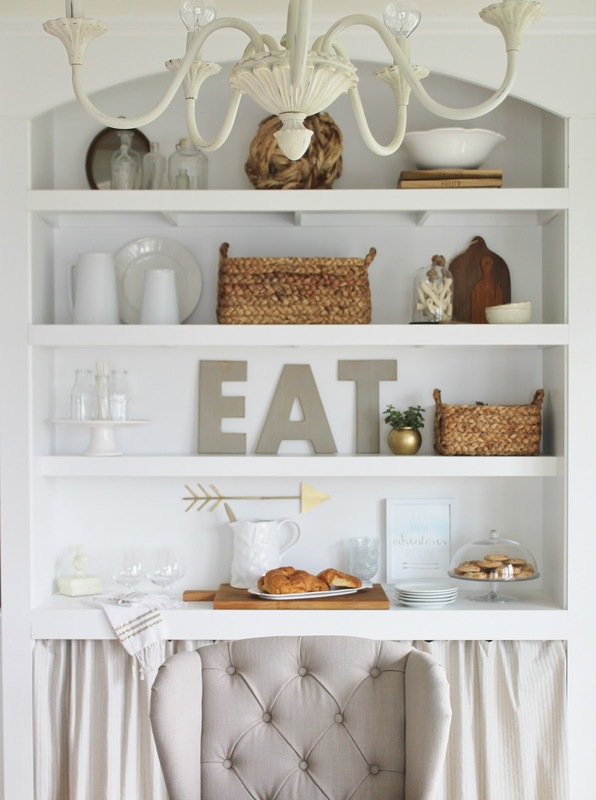 Her home is filled with simple tips and ideas for adding affordable style and timeless design. 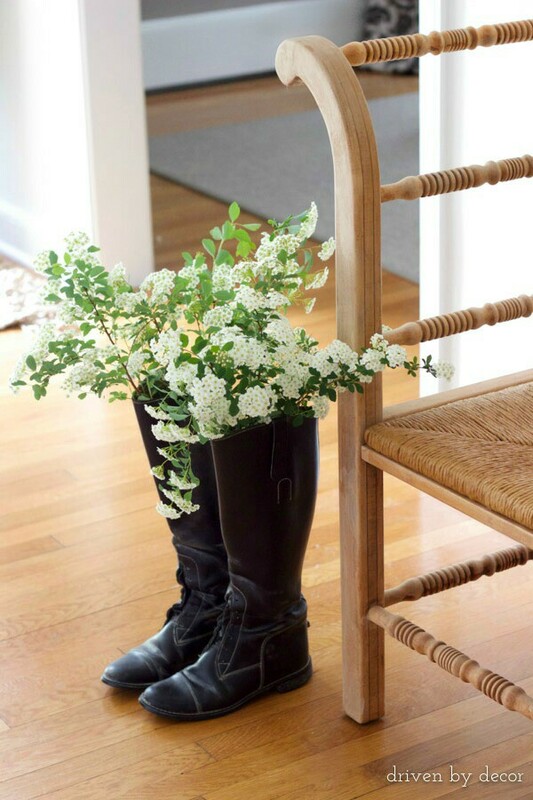 Well loved boots and flowers from the yard, definitely affordable and timeless. 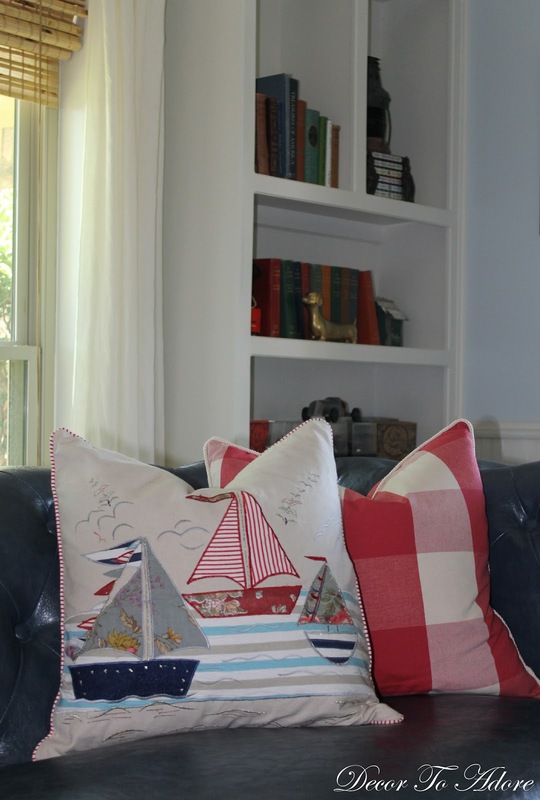 Sherry always inspires and I love how she uses Blue and White by mixing texture and pattern. Coastal that is fresh and modern. SG Style Shavonda has mastered the art of electic. We all want this look and she shows us how. 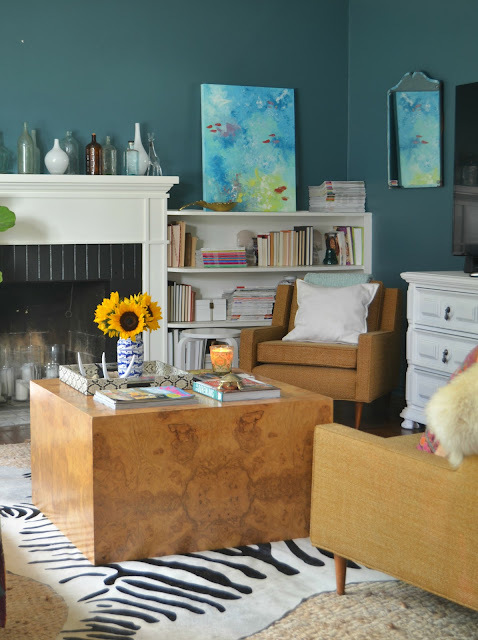 I love that burlwood coffee table mixed with the zebra rug. 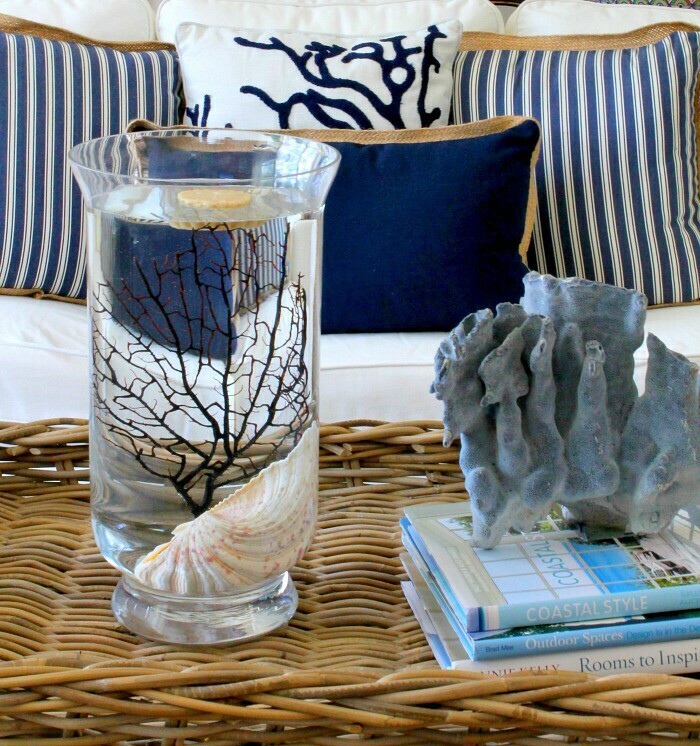 Decor To Adore Laura recently moved across country to a 30 year old home that needed tons of updating and renovation. You won't believe what all she has accomplished in just a few months. You don't want to miss a single project, so much inspiration. 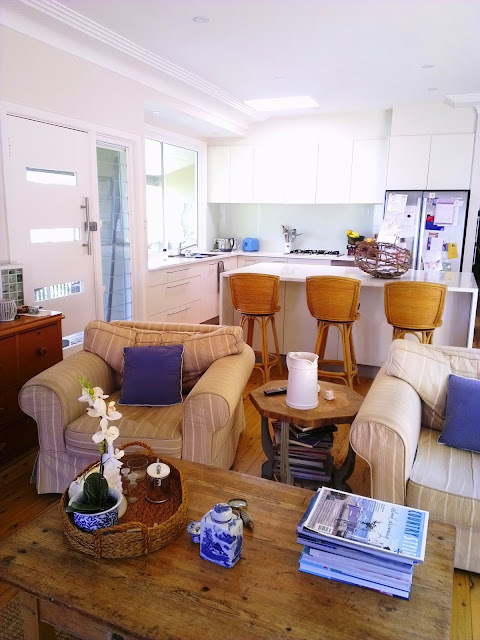 Desire Empire Carolyn lives down under in Sydney in a post war beach house they have brought back to life. Her home is a labor of love, filled with their unique style and DIY projects. All of these tours are so fabulous, I can't wait to see what everyday brings. You don't want to miss out tomorrow, so come back to see all of these gorgeous spaces. Thank dear Miss Marty for allowing me to share my home. This has truly been such a wonderful experience and I have so enjoyed discovering fabulous new to me blogs. I can only imagine the tremendous amount of work in took to organize this fabulous tour. You are most magical! Thank you so much for introducing me to so many fabulous blogs. I am doing my best to keep up and keep the drool whipped off my chin. Hope that is spelled right! Thanks Marty. It's great checking out all the beautiful houses Stateside.